Despite a recent Constitutional Court judgment easing the burden on employers when dealing with precautionary suspension, a legal expert warns that employers can still be found guilty of committing an unfair labour practice. Last month, the Constitutional Court upheld a judgment passed by the Labour Court which states that an employer is under no obligation to provide an employee with the opportunity to offer representation before placing them under precautionary suspension. But Advocate Tertius Wessels, legal director from Strata-g Labour Solutions, explains employers can still fall foul to violations. “The recent judgment by the Constitutional Court clarified what had been murky waters for employers and employees engaged in precautionary suspension. Employers will often consider it necessary to suspend an employee, on full pay, pending the outcome of an investigation into alleged misconduct and/or pending the outcome of a disciplinary hearing. In terms of the judgment, employers are no longer obliged to afford an employee a reasonable opportunity to provide reasons why he/she should not be suspended. Prior to this judgment, an employer was required to notify an employee that the employer is considering suspending the employee pending the finalisation of an internal investigation or the outcome of a disciplinary hearing. More specifically, an employer was required to afford said employee an opportunity to advance reasons as to why the suspension should not be implemented, before a final decision was made. In terms of the Constitutional Court’s judgment, employees do not have an express right to advance reasons as to why the suspension should not be implemented. This also means employers are now in a position to impose precautionary suspension in a less encumbered fashion,” Wessels says. There are generally two forms of suspension in the workplace. The first is termed a 'precautionary suspension' and refers to the practice of suspending or removing an employee from the workplace as an interim measure pending the finalisation of an internal investigation or the outcome of a disciplinary hearing. Precautionary suspension is not a form of disciplinary action. Instead, employers resort to precautionary suspension when there are reasonable grounds to suspect that the employee is involved in very serious misconduct and that the employee’s continued presence at the workplace may potentially be detrimental to the maintenance of good order and/or place the businesses interest at risk. 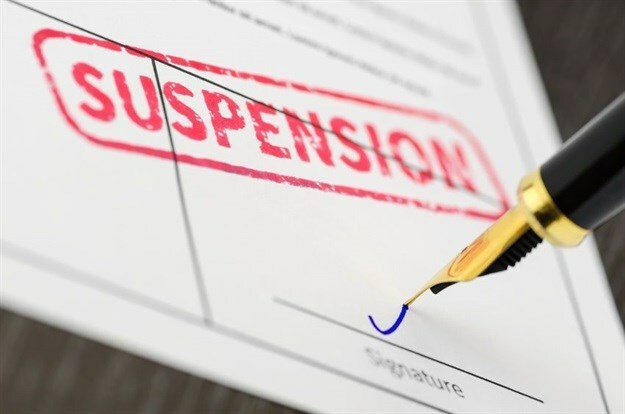 The second type of suspension is termed a 'punitive suspension' and refers to the practice of suspending an employee without pay as a sanction or penalty, after the finalisation of a disciplinary hearing. “The fundamental difference between the two forms of suspension is that under precautionary suspension, an employee will continue to receive their salary or wages, whilst punitive suspension will result in an employee not receiving any payments or benefits for a specified period of time,” Wessels says. But Wessels warns employers are still obligated to follow due process when suspending an employee or they could be in breach of fair labour practices. Wessels says it is insufficient to suspend an employee on the grounds that it would be ‘uncomfortable’ to have the employee present at the workplace, even if they are placed on a precautionary suspension. Employers also can’t suspend an employee with the objective of pressurising the employee into accepting changes to the terms and conditions of employment. “There must be some factual basis for the employer’s decision to suspend an employee. The employer is required to provide prima facie evidence to support its assertion that a suspension is necessary. Suspension of an employee will be justifiable once an initial investigation has established at least a reasonable basis for suspicion that the employee committed and/or was involved in very serious misconduct and there are reasonable grounds to suspect that the employee may possibly destroy/tamper with evidence, intimidate witnesses, commit further misconduct,” Wessels explains. “Unless employer’s internal policies and procedures dictate otherwise, there is no longer a need to convene a formal pre-suspension hearing before suspending an employee on precautionary grounds and employers should review their policies and procedures in light of the judgment handed down by the Constitutional Court. Furthermore, employers should keep in mind that precautionary suspension could constitute an unfair labour practice in circumstances where it is unpaid, endures for an unduly long period of time, and/or there are insufficient grounds to justify the suspension,” Wessels concludes.